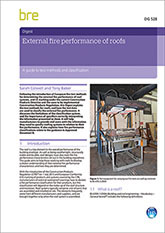 Following the introduction of European fire test methods for determining the external fire performance of roof systems, and CE marking under the current Construction Products Directive or the soon to be implemented Construction Products Regulation, this Digest explains the test methods for roofs, and how the test data are used to classify the external fire performance. It discusses the limitations of the classification system, and the importance of specifiers correctly interpreting the information presented to them. It will help manufacturers to provide end users with the information they need to specify roofing systems in relation to their fire performance. 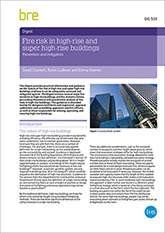 It also explains how fire performance classifications relate to the guidance in Approved Document B. 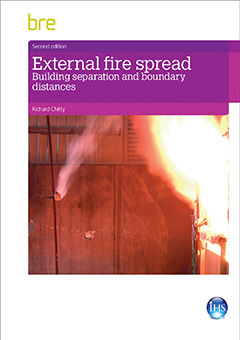 -What are product standards, and how is external fire performance addressed? -Overview of current test methods (Why four test methods? ENV 1187:2002 + A1:2005. Test 1 – with burning brands.